[post_content] => Proceedings from the 4th European Symposium on Suicidal Behaviour held in Odense June 1992. Contents· Attitudes towards suicidal behaviour and the right to die. Legal and clinical consequences of assessment of various types of suicidal behaviour. Biological, physical, and psychological aspects of suicidal behaviour and its treatment. Education and training of staff. Planning and implementing prevention and/or intervention programmes. Methodological and practical problems in evaluating intervention and prevention programmes. 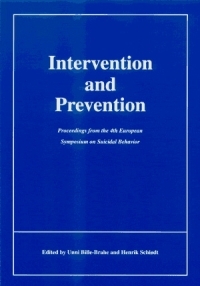 Proceedings from the 4th European Symposium on Suicidal Behaviour held in Odense June 1992.